Wonderful investment property in this two bedroom home positioned on over 1 and a half acre lot. 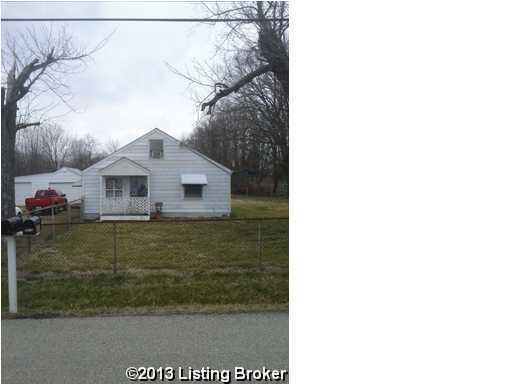 Property listed under last tax assessed value! Two car detached garage, partially fenced, front porch and deck. Square footage is based on pva first floor measurements plus an additional estimated 300 finished square feet on second level per listing agent. This property is sold as is. Please contact listing agent with questions! 2203 Granger Rd, Louisville KY 40118 is a Home, with 2 bedrooms which is recently sold, it has 916 sqft, 0 sized lot, and 2 Car Garage,Detached parking. A comparable Home, has 3 bedrooms and 2.5 baths, it was built in and is located at 9734 Mason Ln Louisville KY 40118 and for sale by its owner at $ 199,900. This home is located in the city of Louisville , in zip code 40118, this Jefferson County Home, it is in the NONE Subdivision, and TIN DOR ESTATES are nearby neighborhoods.